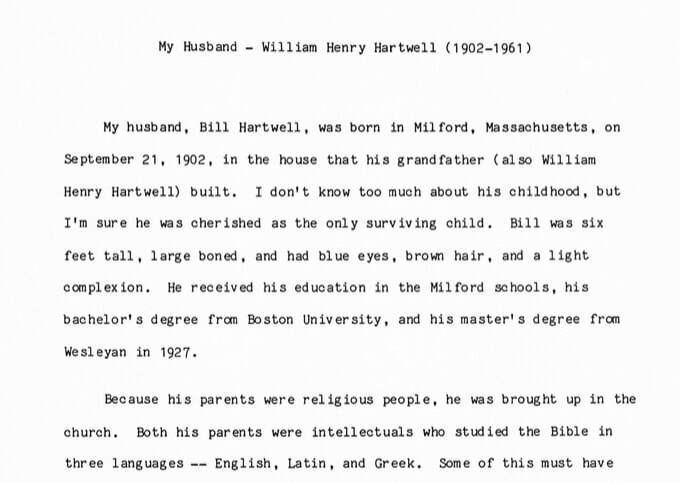 My grandmother Beatrice Elizabeth Abell wrote 45 pages of recollections about her immediate family as well as her husband and both of their parents and grandparents. She wrote out the pages longhand, and then I typed them up and made copies to hand out a Christmas, 1982, to her children and nine grandchildren. This excerpt is three pages written about her husband William. 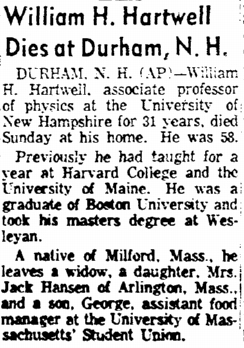 Source: Boston Herald, Monday, March 22, 1961, page 29, column 6; from GenealogyBank.com.